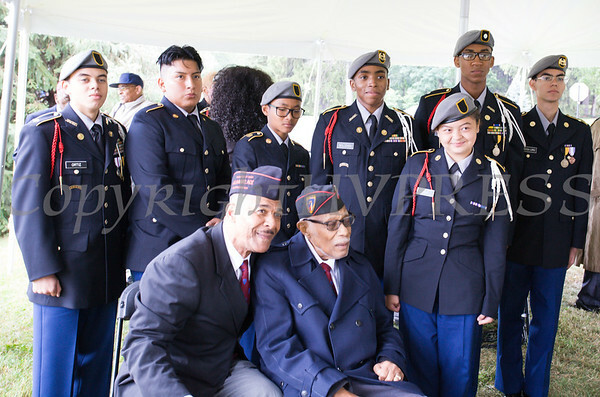 he Buffalo Soldiers Association of West Point hosted the 56th Memorial Ceremony at the United States Military Academy in West Point, NY at Buffalo Soldier Field on Sunday, September 3, 2017. Buffalo Soldier Clarence Hoggard at the Buffalo Soldiers Association of West Point hosted 56th Memorial Ceremony at the United States Military Academy in West Point, NY at Buffalo Soldier Field on Sunday, September 3, 2017. Hudson Valley Press/CHUCK STEWART, JR.